Have you seen multiple doctors and specialists because of unresolved dizziness, vertigo or imbalance? Many people do without any real answers, let alone lasting relief. Our doctors of audiology only specialize in the vestibular system of the inner ear – where many of these disorders originate. Through our comprehensive diagnostics and exclusive Advanced Vestibular Treatment,™ more than 90% of our patients don’t live with dizziness, vertigo or imbalance, anymore. Our unique, proprietary approach supported by millions invested in diagnostic and treatment technology has enabled us to effectively diagnosis and treat over 50,000 patients, just like you. It’s clear that simply living with dizziness, vertigo, or imbalance doesn’t work. What should be equally as clear – it’s not working if you still have to live with these issues after you’ve seen multiple specialists. Stop living with it! Consider a new approach to diagnosing and treating dizziness, vertigo and imbalance. 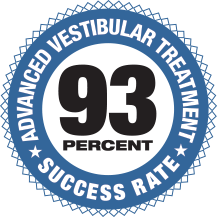 Advanced Vestibular Treatment™ (AVT). Our proprietary approach is solely directed by doctors of audiology who only specialize in the vestibular system of the inner ear – where the majority of balance disorders originate. The result? Over 90% of our patients don’t have to live with dizziness, vertigo, or imbalance anymore. 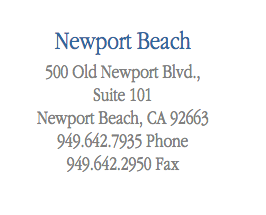 Since 1977, Newport-Mesa Audiology Balance & Ear Institute has specialized in the research, diagnosis, treatment and rehabilitation of dizziness, vertigo, balance disorders and hearing loss. Our team of doctors of audiology and trained staff utilize highly advanced medical technology to restore vestibular health and balance to our patients’ lives. Our unique, comprehensive approach supported by our considerable investment in innovative diagnostic and treatment technology has enabled us to effectively treat over 50,000 patients with over 90% success rate. 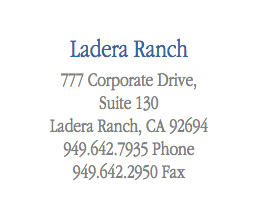 Call (949) 274-4625 to schedule your complimentary consultation, today.